A healthy and strong set of bones offers structure to your body and it will also protect the internal organs as well as anchor the muscles. Simultaneously, s strong set of bones is required for good balance, posture and strength. When you are trying to build strong bones, there are two nutrients you need to remember to add into your daily diet: calcium and vitamin D. Calcium will support the growth of your bones structure, while vitamin D will improve the absorption of calcium and the growth of bone. Both nutrients are important in early years of our life, but they also support you when you are older. If you have osteoporosis that is characterized by breaking bones, consuming calcium and vitamin D may slow down the development of this disease and even prevent fractures. Besides, other key nutrients such as magnesium, vitamins, potassium, protein and beta-carotene also help you enjoy strong bones. You can get all of the nutrients by adding these following foods into your daily diet. 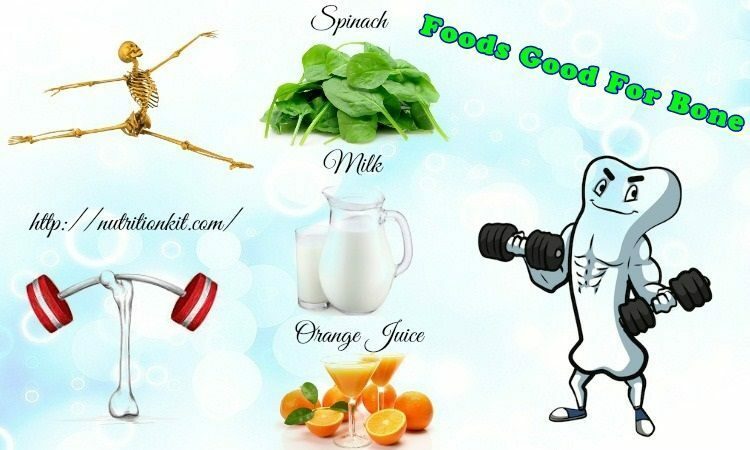 Now, let’s keep your eyes on these healthy foods to boost bone growth in the line of Food on Nutrition Kit site. Before learning about the most amazing foods good for bone health, you should learn about the vitamins and nutrients that our bone system needs to stay strong, healthy, and hard enough to stand the whole body weight! Bone marrow can be found predominantly inside the long bones – those of our arms and legs. It consists of blood vessels, fat cells, and specialized cells that produce crucial clot-forming compounds, immune cells, and red blood cells. Bone marrow relies on food items that have certain nutritional substances to make it healthy and function well. If you are in a recovery process from a bone marrow related condition, then doctors may suggest consuming or taking more these essential minerals and vitamins, as well as other nutrients. This is the first thing you need to know in this section for good! 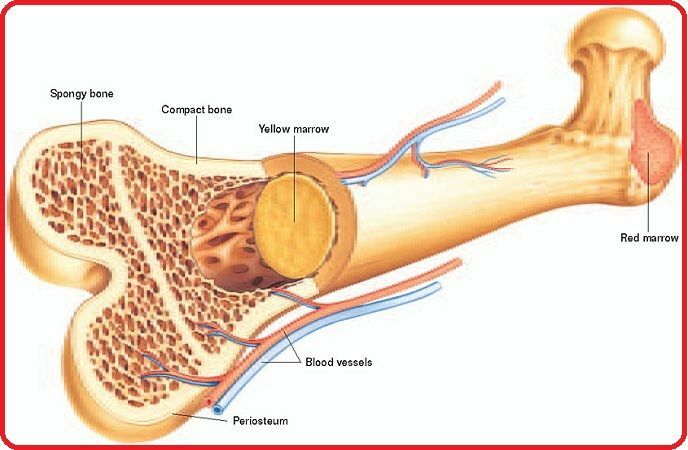 Your bone marrow needs the substance that binds to oxygen inside red blood cells – pyridoxine – vitamin B6 – to create hemoglobin. 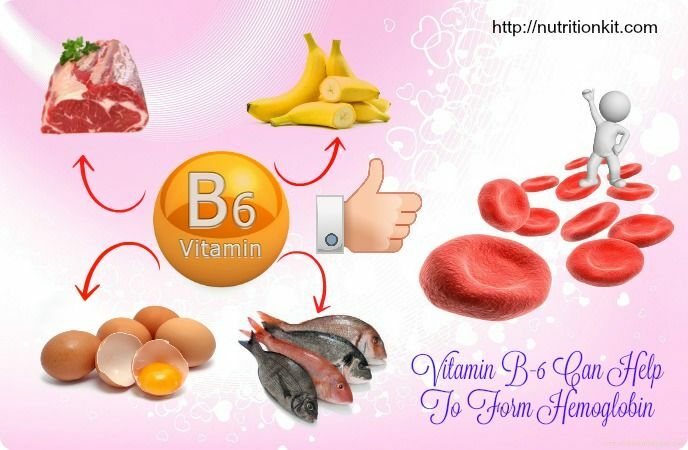 Similar to other B vitamins, vitamin B6 also plays an important role in the energy production to sustain all cells inside the body, such as the bone marrow. You need to take 1.2 – 1.4 milligrams of vitamin B6 from your daily diet. 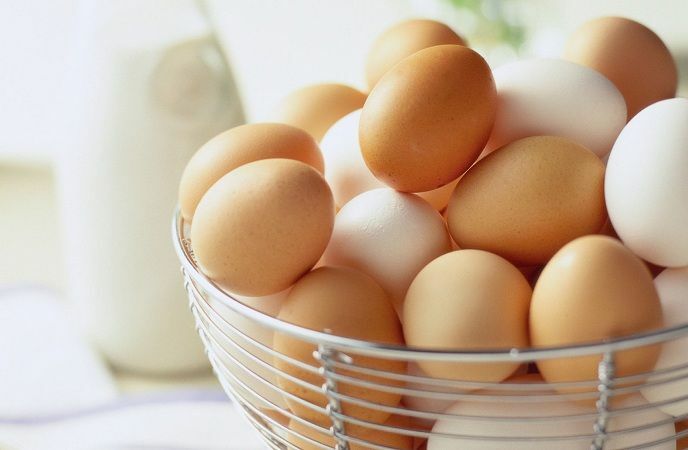 Some healthy foods that have high levels of vitamin B6 you can opt for are fortified cereals, whole grains, eggs, fish, poultry, potatoes, and milk. 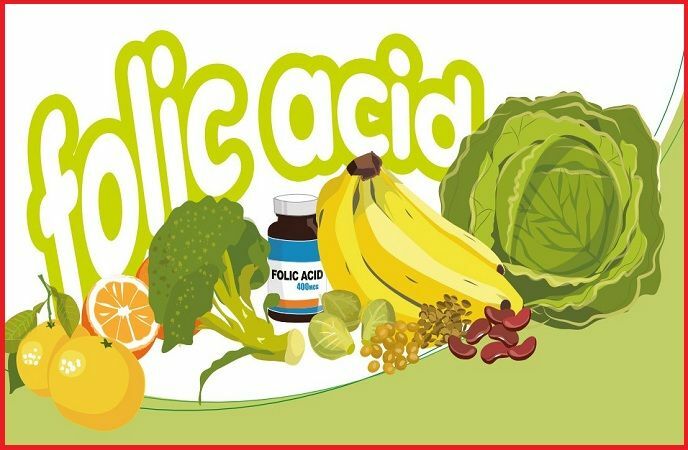 It is noted that B vitamin folic acid is a vital for the red blood cell producing ability of the bone marrow. A folic acid deficiency can cause megaloblastic anemia, in which the bone marrow can produce large and abnormally-developed red blood cells. 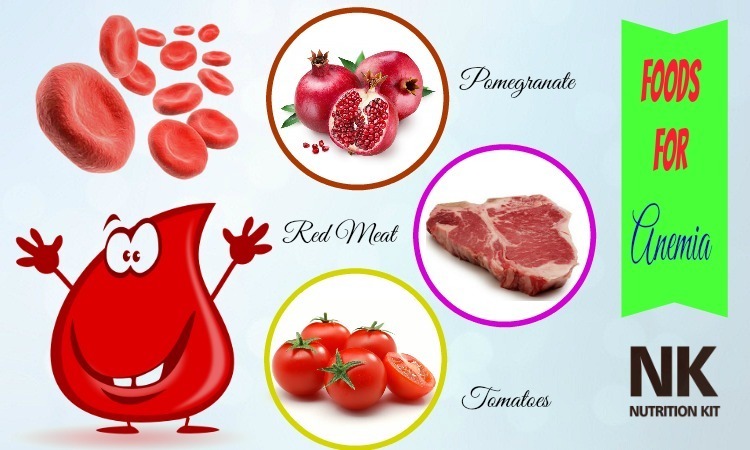 It can also lead to fewer red blood cells that deprive the cells inside our body of adequate nutrients and oxygen. An adult needs 0.2 – 0.4 milligram of folic acid from foods, including fortified cereals, chickpeas, spinach, brussels sprouts, broccoli, and brown rice per day. An important role of the bone marrow is that it is responsible for producing red blood cells – the cells that contain iron – carrying oxygen to all body’s parts. You can take iron from your everyday meals – approximately ten to twenty milligrams per day. If you are in pregnancy, your body will require 27 milligrams of iron per day. The University of Utah claimed that our body just absorbs about 10% of this dietary nutrient, almost used by the bone marrow for producing red blood cells. You can take iron from animals, such as organ meats and liver, shellfish, fish, and poultry contain heme-iron, which can be absorbed by the body much more easily. Plant sources are seeds, nuts, green leafy vegetables, and whole grains give you less non-heme iron that are readily absorbed. Foods rich in protein can be broken down into amino acids, the material that contributes to build all body’s cells. We need an average of 46g to 56g of this nutrient per day to aid in sustaining the health of bone marrow and other tissues. Some good sources of protein you can find include vegetables, legumes, dairy foods, fish, poultry, and meat. A study published in the “American Journal of Nutrition” in 2002 noted that patients who experience a bone marrow transplant have higher energy and protein needs. The research recommended that patients need to consume 1.4 to 1.5 grams of protein for each kilogram of the entire body weight per day to repair and renew their own bone marrow. 2 other nutrients that play a vital role in bone strengthening and bone growth are sodium and potassium — your body needs the optimal ratio between these two nutrients to maintain the entire bone system. 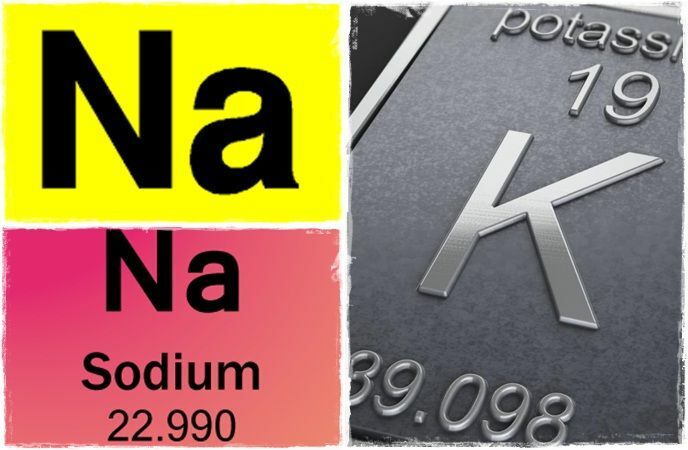 If you are following a diet loaded with processed food stuff, there is a big chance that your sodium to potassium ratio is far from optimal, which might be usually done by following a diet of processed food dishes – those are high in sodium while notoriously low in potassium. Imbalanced potassium to sodium ratio could be blamed for the formation of several conditions, such as osteoporosis. 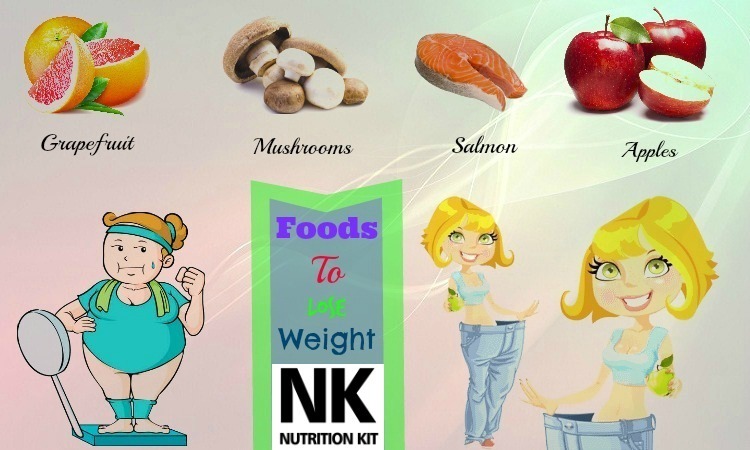 To make sure that you get these 2 crucial nutrients in more ideal ratios, you just need to ditch processed food stuff, which are extremely low in potassium and other vital nutritional substances yet high in processed salt. Instead, consume meals with whole, unprocessed food materials, ideally those grown organically to ensure the best nutrient contents. This diet type will naturally offer noticeably higher levels of potassium in relation to sodium, which is best for the overall health of your bone system, as well as the overall health of your body. If it is too hard for you to consume the required amount of vegetables, then you can juice them to ease your taste buds. There are many controversies on whether or not people should take calcium supplementation to strengthen bones and keep them healthy. 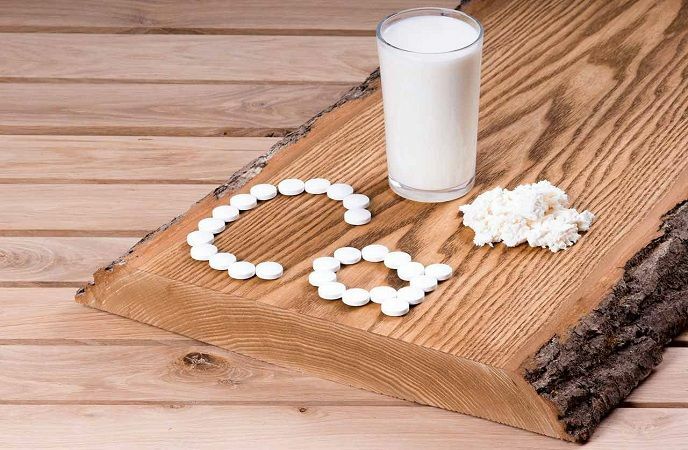 It is essential to know that calcium can work synergistically with vitamin K2 and vitamin D. Thus, actually, using calcium supplements alone can end up posing more harms than goodness. According to experts, bone is composed of at least 12 minerals, and if you just exclusively concentrate on taking calcium supplements, then you may have worse bone density. In addition, you will be at higher risks of developing osteoporosis. Interestingly, there is a wonderful practical alternative for this – the use of unprocessed, natural salts – like the salt from Himalaya, because it is among the most amazing natural sources of many trace minerals. Experts combined vitamin D with calcium, which is both essential, but they actually did not address the critical vitamin K2. “Critical” means that the vitamin K2’s biological role is to support in moving calcium to the proper body areas; for example, teeth and bones. It can also help a lot in removing calcium from the improper areas, like in soft tissues or arteries. 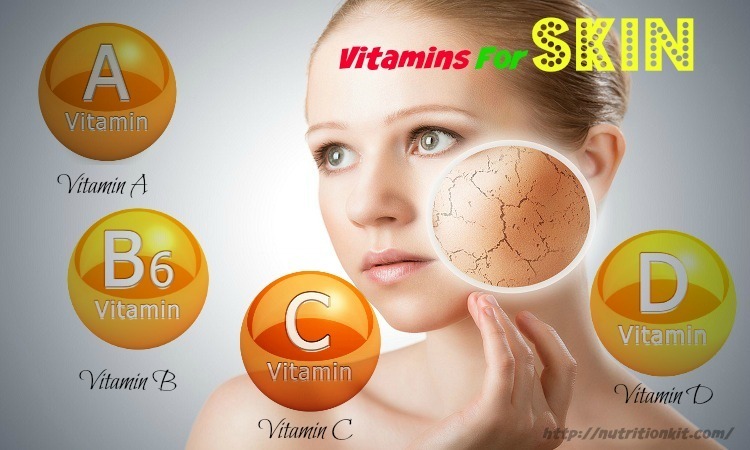 Moreover, if people take vitamin D supplement, then they also need to get higher vitamin K2 intake, as when taking vitamin D, the body will create more vitamin K2-dependent proteins – those helping to move the calcium in the whole body. However, our body needs vitamin K2 for activating those proteins. If the proteins are not activated, then the body’s calcium would not be distributed properly and could even weaken bones and harden the arteries at the same time. Actually, a deficiency of vitamin K2 is actually the trigger of all vitamin D toxicity symptoms, including inappropriate calcification that leads to hardened arteries. In a nutshell, it is crucial to always have proper balance between all these 3 nutrients: vitamin K2, vitamin D, and calcium, as well as magnesium. The lack of this balance can explain why calcium supplements have become associated with higher risks of strokes and heart attacks. 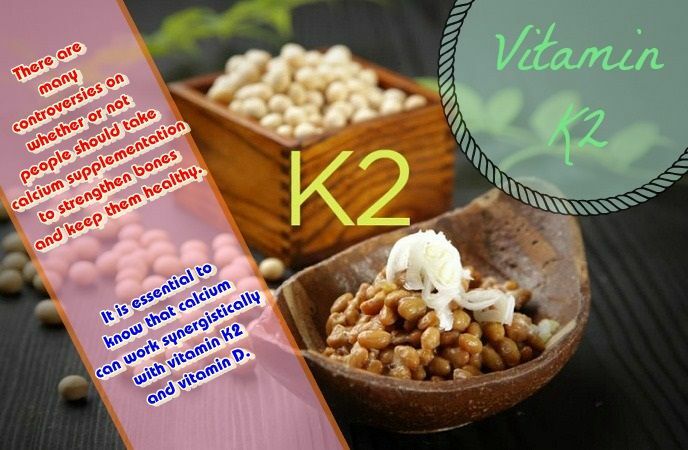 The most ideal level of vitamin K2 are still investigated, but perhaps 180 – 200 micrograms of vitamin K2 per day would be enough to activate the K2-dependent proteins inside the body to shuttle the calcium from and to proper body’s parts. Most American people get nowhere near this level though. 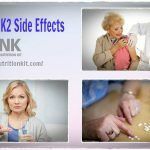 Actually, it is estimated that 80% of Americans lack vitamin K2 in their daily meals to activate the K2 proteins inside their own body, similar to the vitamin D deficiency rates. When it comes to bone growth and strengthening, vitamin D is an indispensable assistant of calcium. 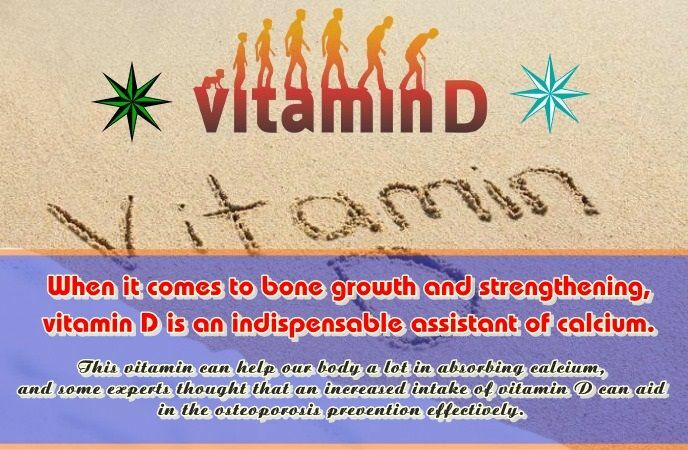 This vitamin can help our body a lot in absorbing calcium, and some experts thought that an increased intake of vitamin D can aid in the osteoporosis prevention effectively. Milk sold in the U.S is fortified with this nutrient. Vitamin D is also prevalent in vitamin supplements, eggs, and fortified breakfast cereals. Some brands of yogurt are fortified with it, as well as some juices. Add a small amount of sun exposure every day to help the body produce its own vitamin D if you can — just stand or sit in the sunlight between 10 a.m. and 3 p.m within about 5 – 30 minutes. Do this just 2 times per week to your back, legs, arms, or face without sunscreen so that your body will be able to receive the sufficient amount of vitamin D it needs. Those having fair skin that could be burned easily should limit sun exposure to ten minutes or less to protect their own body from skin disorders and diseases, such as skin cancer. Foods and sun exposure are enough for your body. However, if you cannot offer your own body enough foods or sun exposure, then according to professionals and doctors, you can get 1,000 IU of vitamin D from a supplement per day. 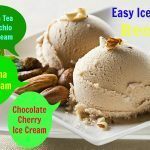 Calcium is an essential nutrient – maybe the most important one – for slowing the bone loss pace and developing, growing, as well as strengthening bone mass. However, it is not alone a magic bullet, and experts suggested that excessively high levels of dairy products or calcium can harm the body. Remember that besides calcium, there are other foods and nutrients that contribute to maintaining the strength of our bone system — most importantly, as mentioned, vitamin K and vitamin D.
Then how much calcium will we need? The requirement for this nutrient is 1,000 milligrams (mg) per day for adults up through the age of 50 and 1,200 mg per day for those 51 and above, as their bone loss has been accelerating day by day. 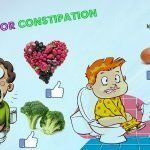 Our intestines, with age, absorb smaller amounts of calcium from daily diets, and our kidneys seem to work less effective at conserving calcium. As a consequence, the body could have to “steal” calcium from bones to serve many other essential metabolic functions. As some research suggested that high calcium consumption can lead to increased risks of prostate cancer, men need to stay far away from calcium supplements or avoid taking calcium-rich antacids too regularly. 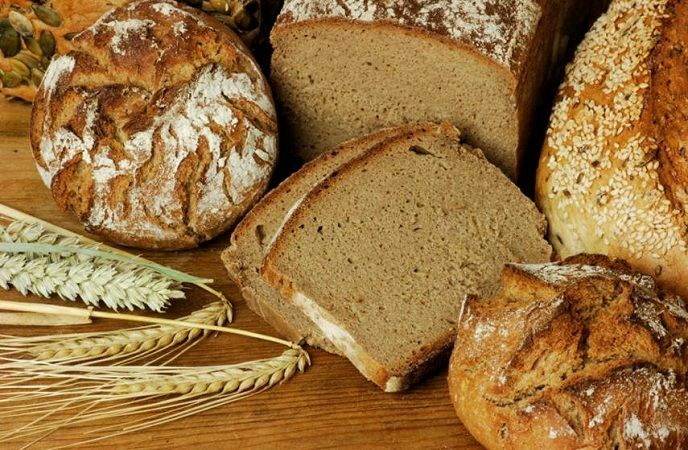 Whole grains are a good source of complex fiber, carbohydrates and other vitamins. Consuming amount of whole grains can help you enjoy a good set of bones. Also, whole grains reduce our body’s requirement to metabolize protein for energy. This process can protect muscle tissues. Moreover, whole grains are also high in magnesium, which will support your calcium absorption from blood into bones to create the bones healthy and strong. When you eat whole grains, you can have better bone density and mass at any age and healthy bones throughout the lifetime. Milk is one of the great sources of calcium, which is one of the best elements for healthy bones. Milk also has magnesium, potassium, phosphorus, riboflavin, vitamin D and vitamin B12. All of them are important for strong bones. You should opt for low- fat or skimmed milk to keep the level of calorie in check. People who are not interested in the taste of milk can mix it into a smoothie, milkshake or sauce. Adults should enjoy 2 cups of milk daily while children and teens can drink more milk. Oranges are important for healthy bone as they are packed with important nutrients including calcium, minerals and vitamins. 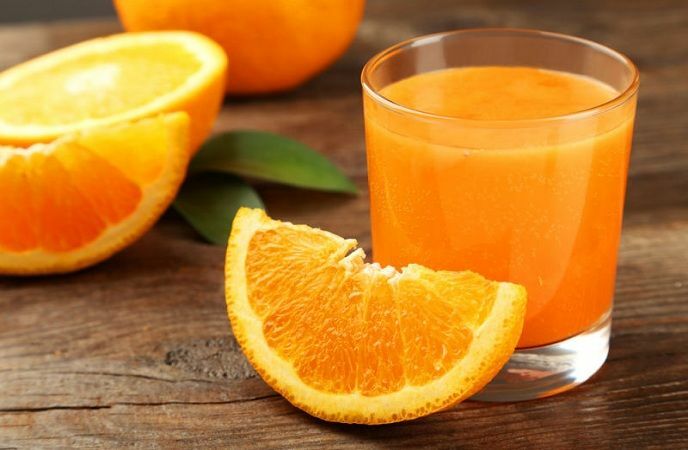 Orange juice can be especially used by people who get intolerance to lactose and people who cannot get their daily calcium needs from dairy products. Therefore, try adding more oranges into your daily diet in order to help your bones become healthier and stronger. Sardines are a good source of calcium and vitamin D. And both of them play a vital role in your bone growth. Sardines also have a large amount of phosphorus, omega-3 fatty acids and vitamin B12. Consuming 3 ounces of canned sardines is nearly equal to the amount of calcium obtained from a glass of milk. Add the canned sardines to salads, pizza, or any mashed dishes. In some places, sardines are also found in fresh form and then they can be directly added to pastas, salads and sauces. To enjoy its numerous health benefits, you should add these foods to your daily diet. Dark green leafy veggies such as bokchoy and broccoli are great sources of calcium, along with omega-fatty acids, magnesium and vitamin K. All of these nutrients are important for bone health. Aside from those, you can also get your daily level of calcium from turnip greens and collards. At the same time, the antibacterial and antioxidant properties in collard greens also offer various other health benefits. A cup of cooked collard greens has more than ¼ of your daily calcium needs. The best way to eat collard greens is steamed with fresh onions and garlic. 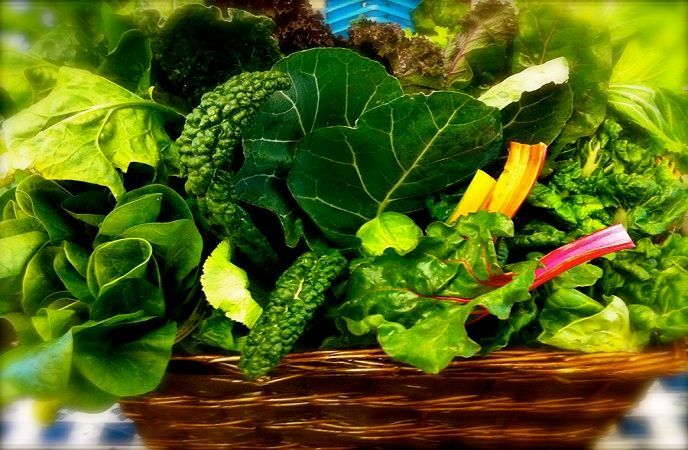 You can also add these leafy green veggies to your soup and salad. After eating a diet packed with these vegetables, you will be able to strengthen your bones as well as boost your bone growth by reducing the calcium loss. Moreover, the plant sterol hormones will be converted into a hormone, called calciferol, needed for the absorption of calcium. 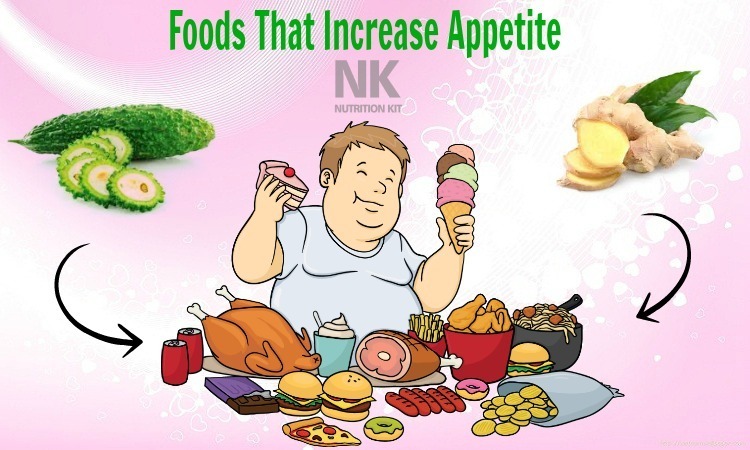 In brief, this is also one of the most amazing foods good for bone that we would like to introduce in this article and want people to consume on a regular basis. Salmon is a kind of fatty fish that has a good source of bone-boosting nutrients including calcium, vitamin D, protein and omega-3 fatty acids. Both omega-3 fatty acids and vitamin D can help you increase the calcium absorption in the body. 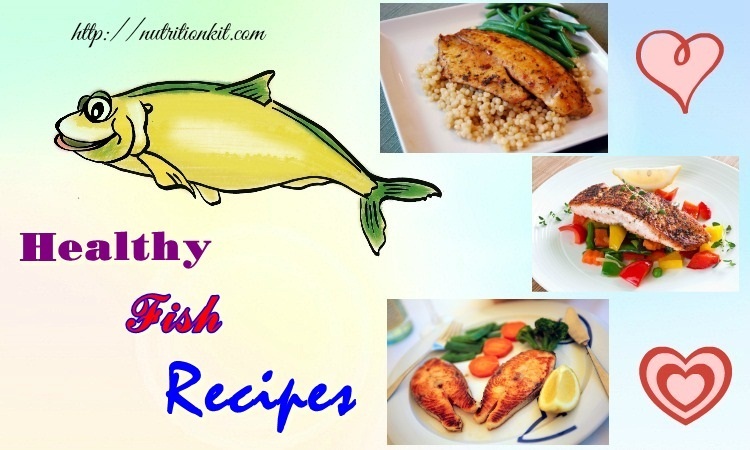 Regular consumption of this healthy fish helps to improve bone accumulation, bone density and heart health. 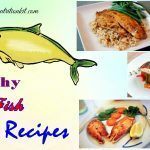 Consume this healthy fish more than twice a day in order to keep the heart and bones fit and healthy. Salmon can be poached, grilled, baked or other healthy dishes. Thus, foods good for bone health should include salmon. 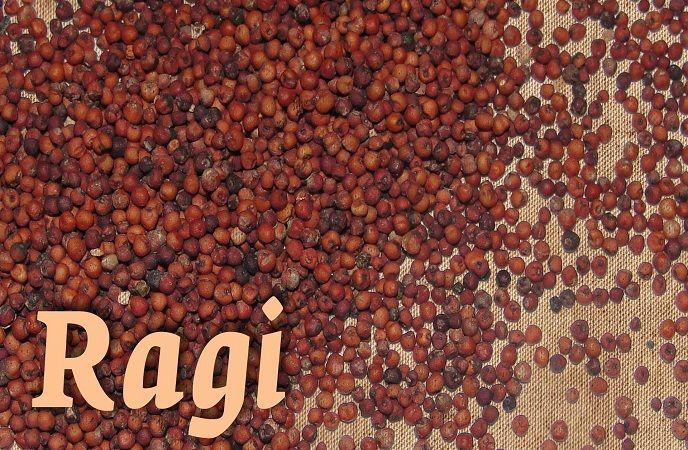 Ragi is one of the best one on the list of foods good for bone that contains 330-350mg of calcium for each 100g of dry weight that will make it one of the best foods to improve the bone health. Add ragi in the breakfast in order to improve your bone status. Soy milk is a good source of protein and eggscalcium. This calcium in this milk is easily absorbed by your bones. Thus, soy milk is known as a kind of food on the list of foods good for bone. ½ cup f tofu fulfills 20% of your daily recommended calcium requirement. Whether you consume it cooked or plain, tofu is a good choice for your bone health. Opt for fermented and organic tofu or other soy products. 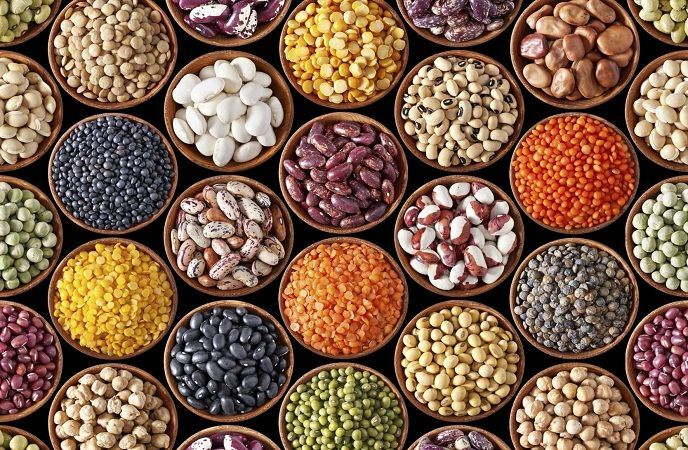 When looking for the foods good for bone health, you must not skip out pulses. 100g of pulses has about 200mg of calcium. Similarly, soybean, lima beans, Horsegram and lentis can be added into your daily diet to get your needed quota of calcium. The top foods good for bone health must include cheese. Cheese is packed with a large amount of calcium, vitamins A, D, B12, magnesium, phosphorus, potassium, riboflavin and protein. All of these nutrients are required for healthy and strong bones. Also, cheese is a good source of calcium for those who are lactose intolerant. Adding a small amount of cheese regularly will be able to support the bone status. Some options for you include cheddar, mozzarella, Swiss, goat cottage and Parmesan cheese. Try to include cheese in your diet to enjoy its health benefits. The best foods good for bone health must also include sesame seeds. They contain a variety of nutrients for healthy bones including calcium, magnesium, vitamin D, vitamin K, and phosphorus. You should eat at least 1/4 cup of crunchy seeds daily, in dried or roasted form. 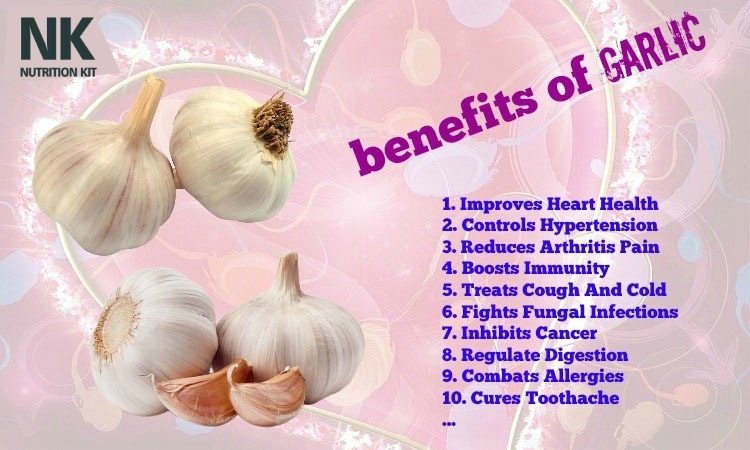 You can sprinkle some of them on cooked vegetables, add them into your salad and then stir-fry vegetables. In case you do not like the taste of these seeds, you are able to consider eating sesame butter. Besides, along with sesame seeds, you also add flaxseeds into your diet. Yogurt is also one on the list of foods good for bone. Yogurt has a great amount of vitamins A, D and B12, calcium, magnesium, potassium, phosphorus, riboflavin and protein. Add at least a container of yogurt into your daily diet. If you are not fond of milk, yogurt is another interesting reason for you to eat it. Milk is likely to acidify your body’s pH, which causes your body to give off calcium from your bones in order to neutralize the acid. 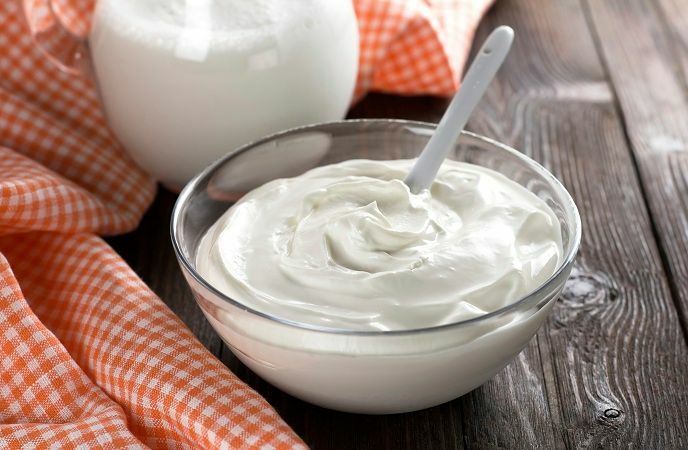 On the other hand, yogurt that is a fermented dairy product, acts as an acid neutralizer and it also does not get the calcium leaching effect. People who are health-conscious can opt for fat-free yogurt daily. However, Greek yogurt may not be really healthy for the bone status as Greek yogurt is high in protein, basically do not have adequate amounts of vitamin D and have less amounts of calcium than other traditional yogurts. 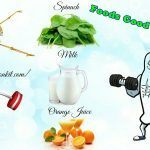 Another magical food for bone that we would like to introduce in this entire article and encourage readers to add more to the daily diet right from today for strong and healthy bone mass is spinach. Spinach is another easily- found vegetable that is rich in calcium content. Besides, vitamin k content in spinach helps you retain calcium in the bone. 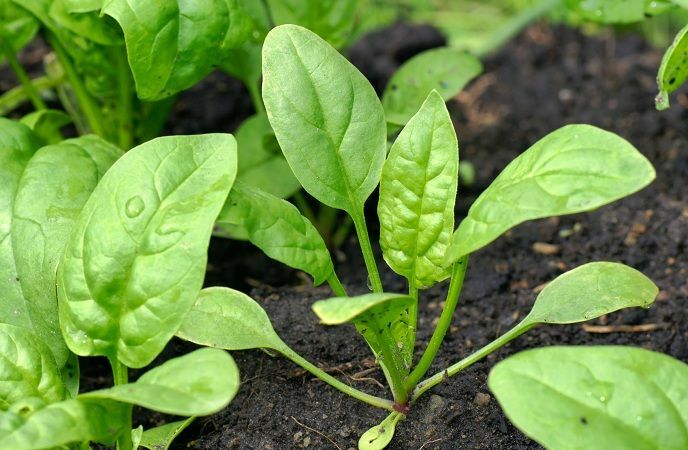 Along with calcium, spinach also has a great amount of iron, magnesium, fiber, potassium, vitamin A and C.
Spinach can be boiled, grilled or eaten raw. 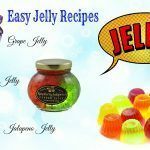 It can make a good addition to sandwiches, salads, appetizers as well as cooked dishes including lasagna and quiche. Apart from spinach, kale, Chinese cabbage, cauliflower, broccoli can also help you build up and promote a healthy set of bones. Add these foods to your daily diet for good! White beans are good for healthy bones. This legume has a good amount of protein, calcium, fiber and other minerals like phosphorus, magnesium and potassium. Depending on the kind of white beans, a cup of cooked beans are able to provide a great amount of calcium to boost healthy and strong bones. You can add white beans into salads, soups, stews, bean dips and spreads, casseroles and baked vegetables. Apart from white beans, you can get a healthy bone by eating navy beans, pinto beans and black beans. 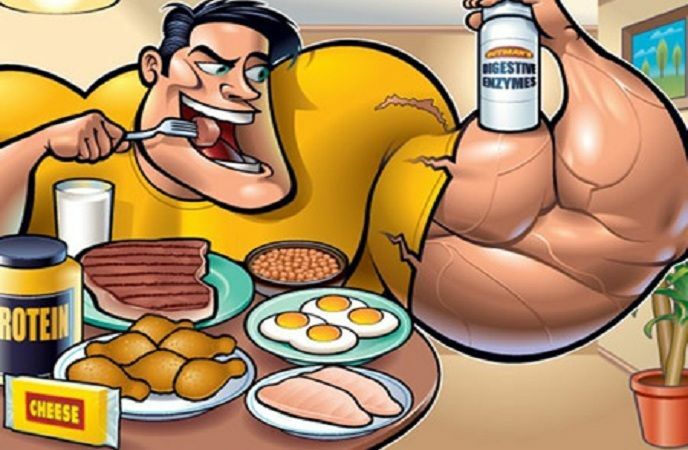 This is the very first one out on the list of the best foods good for bone that people should not look down yet try consuming more and more on a regular or even daily basis for good! The yolk is a good source of essential vitamins and minerals including calcium and protein, which is good for bone health. Eggs are one on the list of foods good for bone, so you should try to add eggs into your diet to enjoy a healthy and strong set of bones. Remember that these foods affect each person in different ways. To enjoy strong bones, you should try to write down all foods that you should eat in a food diary. Try to add all of them to your daily diet to enjoy their health benefits as soon as possible. Do not forget to leave your comments and feedbacks below to let me know what you think!